Real Madrid are said to be eyeing up a move for Roma and Greece defender Kostas Manolas, a player who’s available for just €36M. 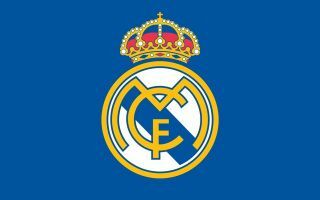 Los Blancos have been woeful at the back this year, conceding 57 goals in the 47 games they’ve played, an average of well over one goal per game. This record simply isn’t good enough for a club of Madrid’s stature, and it definitely looks as if the club are going to need to reinforce their options in defence during the summer transfer window. And it seems like Real are already well on their way to doing this, as Don Balon are noting that the Spanish giants are eyeing up Roma defender Manolas, who they state has a release clause of just €36M. Given his quality and overall defensive ability, €36M seems like a bargain for Manolas, with the Greek defender’s potential arrival being one that would seriously bolster the club’s options at the back. Manolas’ performances for Roma in the past few years show that he has what it takes to cut it for a club like Real Madrid. The 27-year-old has been a key part of Roma’s side since his arrival back in 2014, and should he sign for Madrid, he would seriously improve Los Blancos’ options at centre back. The club only really have Nacho Fernandez to choose from as a back up option at centre back, and bringing in Manolas would give Zidane another option to pick from in the centre of defence, a factor that could prove key in Real’s attempts to claim more silverware in the coming years.